How do you keep your eyes focused on God throughout your workday? 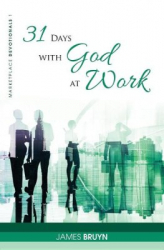 God is intimately present with his inexhaustible power and love in your workplace. With your faith grounded in God's love, as an employee, a manager, or an executive; you have the privilege of enriching the lives of those working with you. Use these devotionals to reflect on what God has to say to you in His word about your work, your career, and your relationship with your co-workers. Is Doubt Crowding Out Hope?